In the 1930s, Manitoba-born author Laura Salverson lived in this Bankview house at 2111 14A Street SW. She likely wrote much of her award-winning memoir in her studio at the Lougheed Block on Stephen Avenue (now the Belvedere restaurant). 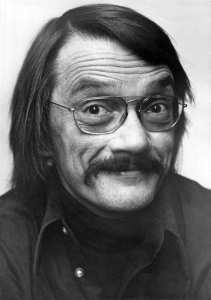 Early in his career, George Bowering (Canada's first Parliamentary Poet Laureate) taught English at the U of C (1963-1966). His time in the city feature in Rocky Mountain Foot. 1960s Calgary was not Bowering's favourite place, but it offered the poet prize-winning material. Sharon Pollock moved to Calgary in 1966 and has called the city home ever since. Her GG-winning plays weren’t about Calgary, but her latest, Blow Wind High Water (2017) is set during the 2013 flood. Pollock's play Whiskey Six Cadenza was a GG finalist in 1987. Fred Wah was a mentor to many Calgary poets during his tenure as a professor at the University of Calgary from 1989 to 2003. He was appointed Canada's Parliamentary Poet Laureate in 2011. Erín Moure was born and grew up in the city, later relocating to Montreal. Her 1989 collection, WSW (West South West) features a few Calgary poems including “South-West, or Altadore” and “Tucker Drugs.” In addition to her GG in 1988, Moure has been a finalist for the GG award for poetry three times. Born and raised in Calgary, at 17 Karen Connelly spent a year in Thailand on a Rotary exchange. Her GG-winning memoir brought her once again into the national literary spotlight. Connelly’s first book – a collection of poems published in 1990 when she was 21 – won the prestigious Pat Lowther award. Nancy Huston left Calgary in 1968 when she was fifteen and eventually settled in Paris. She won the GG for her 10th book – her first about her native Alberta (much of it set in Calgary). Originally written and published in English as Plainsong, the novel won a GG award for the French-language fiction prize – and became a cause célèbre in literary circles (you can read more in George Melnyk’s The Literary History of Alberta). Robert Hilles moved to Calgary in 1974 from Kenora to study at U of C. In the 1980s, he served as an editor at Dandelion magazine and, along with the poet Claire Harris, launched blue buffalo, a magazine that featured Alberta writers. Edmonton's Gloria Sawai (1932-2011) lived in Calgary in the early 1970s and studied writing with the poet Christopher Wiseman at the University of Calgary. Her classmates were Edna Alford and Joan Clark, the founders of Dandelion magazine. Local literary legend has it that Gloria Sawai read her famous story, "The Day I Sat with Jesus on the Sundeck and a Wind Came Up and Blew My Kimono Open and He Saw My Breasts" in Calgary. The story is included in her GG-winning collection. 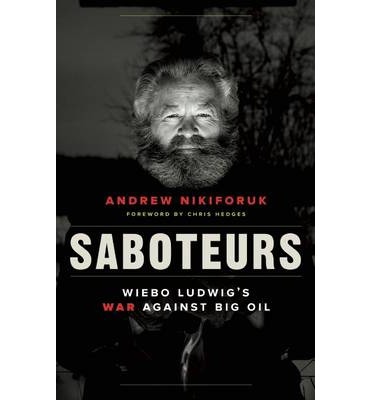 Andrew Nikiforuk has lived in Calgary for many years. Over the course of his career as a prolific author and investigative journalist, he has found grist for his nonfiction in the city and its resource economy. 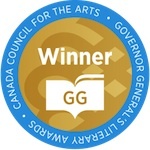 Nikiforuk's Empire of the Beetle was a GG finalist for nonfiction in 2011. An award-winning translator and Calgary resident, Susan Ouriou is also an author. Her young adult novel Nathan (2016) is set in Haysboro. In addition to her 2009 GG, Ouriou has been a finalist for the GG Literary Awards three times. In 2015, she and Calgarian Christelle Morelli were finalists for the French to English translation prize. P. K. Page (1916-2010) spent formative years of her childhood in 1920s Calgary. 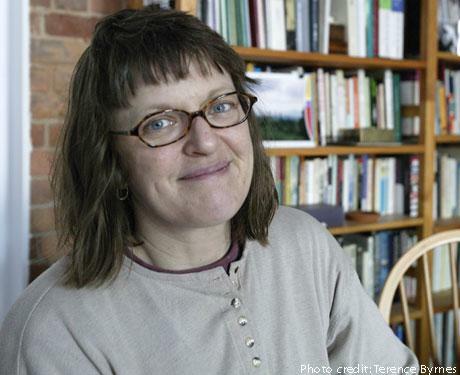 In this biography, Sandra Djwa details Page’s early years in the city. Alberta-based author Martine Leavitt served as Author-in-Residence at the Calgary Public Library in 2000. Her young adult novel Tom Finder (2003) tells the story of a 15-year-old boy living on the streets of downtown Calgary. Richard Harrison moved from Ontario to Calgary in 1995 to serve as writer-in-residence in the University of Calgary's Distinguished Writers Program, and continues to call Calgary home. Harrison's Big Breath of A Wish was a finalist for the GG poetry award in 1999. And, one last bit of Calgary GG trivia: my program from the 1988 Governor General's Literary Awards ceremony held at Jack Singer Hall. In February 1988, two days before the Winter Olympics opened at McMahon Stadium, Canadian literature was in the Calgary spotlight. There must have been champagne.